Best RV Thermostats of 2019 - Digital, Duo Therm, Dometic, & More! Thermostats are something that we all take for granted, yet they’re what allow us to change the temperature when we’re too warm or too cold. If it weren’t for these devices, staying warm or cooling down would be a lot harder than it currently is. The following article will discuss the multiple types of thermostats that you can get and their pro’s and con’s. Choosing your thermostat seems like such a trivial task. But, in actual fact, it’s really important. Your thermostat can make your life a living hell if it’s too complicated or just doesn’t offer everything you need. But, how do you know what you need before you need it? The following section will discuss what exactly to look for when thermostat hunting for your RV. 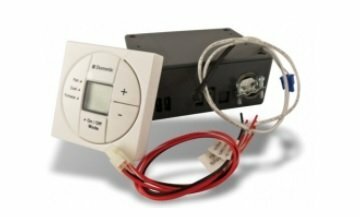 Thermostats will offer various features that may or may not be beneficial to your as an RV owner. Features like being able to control your thermostat by an app and having a setback feature in case of a power outage might come in handy to one person, but, might just be unneeded nonsense to someone else. If you like the look of the features, why not give it a shot. The warranty of your product is important, if the thermostat that you’re about to order doesn’t have a warranty, do not buy it. Not having a warranty means that you’re simply setting yourself up for failure. Thankfully there aren’t many of these out there. However, keep your eyes peeled. Of course, the most recent reviews of the product are fairly important to look at before buying. Make sure you have a look at different places like Youtube and Amazon reviews as well as blogs like ours before buying. The various types of thermostat are also an important factor as some are really basic and other fairly advanced and new. Without a doubt, one of the most important sections of this article is the actual product review. In this section, we’ll discuss the details about the various products on the market and their multiple pro’s and con’s. 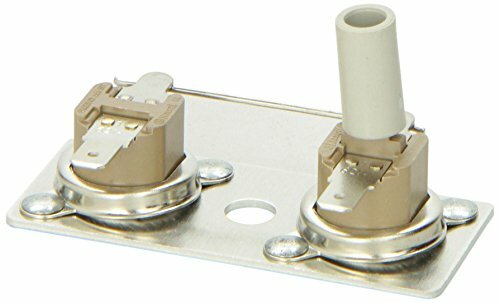 This simple analog thermostat is the most effective products on the market at the moment. It offers a few features like a cooling and heating system that can be switched between as well as multiple fan speeds that you can play around with. The easy to move slide allows you to set the temperature between 55 to 90 degrees. 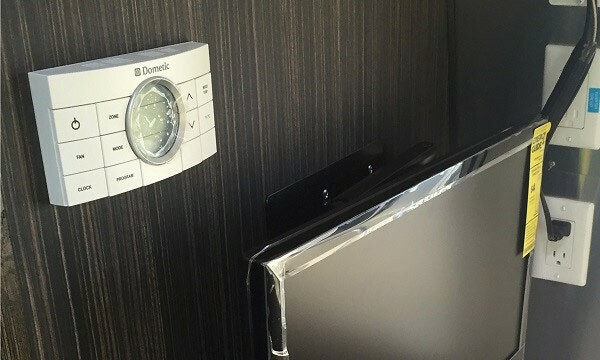 The small, thin and basic design allows for this thermostat to blend into any RV. 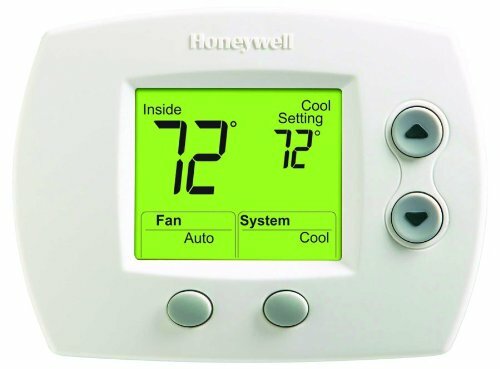 Analog thermostats are some of the least popular thermostats currently on the market due to their basic design and having a track record as being unreliable. However, if there was one thermostat that broke this stereotype, it would be this one. It may be simple, but this means that it’s easy to use with the simple analog sliding temperature controls. The various features and modes are what make this product so much better than what stereotypes might have you think. Sometimes simple and basic are what win the gadget race. 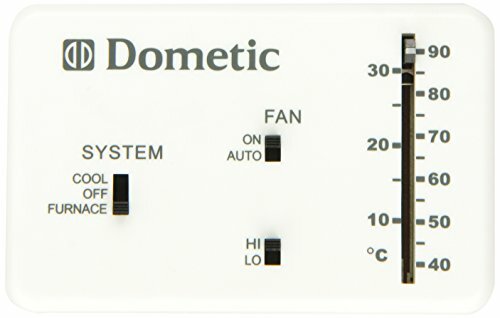 This is another analog thermostat, it’s without a doubt the best on the Dometic range. The simple design allows you to control the temperature as well as the fan system all from one device. You can set different fan speeds and adjust the controls as you see fit. The slide controls allow you to set the temperature from 40 - 90 degrees. The small design and easy blend in colors allow for this thermostat to blend into any RV walls. These analog thermostats are incredibly easy to use and extremely simple that the various features and modes are just as easy to get working. The sliding controls are what make it even easier. The product blends in well with the background of any RV as it’s a compact product. The only downsides to these products are that they’re known to break and become less effective over time. This thermostat is the best digital/programmable thermostat currently on the market to use in your RV. The easy to use and read 1.5 inch display offers plenty of space to have all the information displayed on one screen. The product allows for you to accurately set the temperature that you feel most comfortable in with one heat and one cooling system. The product is dual powered as it operates from a battery and being hardwired into the RV circuit. These products are a lot more reliable and easy to use, thanks to their superb accuracy. This product is a lot more modern than the past few thermostats we’ve included. The 1.5 inch backlit display will provide you with an accurate reading of everything that’s going on temperature wise, this monitoring is important so you know that your thermostat is working so this is a huge benefit. It’s also really easy to use after you get used to all the terms and buttons, it offers a really good heating and cooling system that is dual powered with either battery and hardwired via the RV circuit. These types of thermostats are some of the most reliable and accurate on the market at the moment. The only downside like we mentioned is that they might take longer to get used too as they’re digital and not manual. This digital thermostat is part of the Coleman range and is without a doubt the best of that range. This thermostat offers a tiny display that will show you the exact temperature of your RV, which is great for finding that sweet spot or goldilocks zone. The accuracy is a main attraction for many people, it offers all of the same features including both heating and cooling modes as well as the speed of the temperature change and whether the fan speed should be high or low. This product is quite simple which makes it easy to use, the controls are similar to that of an analog thermostat. However, the only thing that makes it a digital thermostat is the really small screen in the top corner that displays the temperature reading. However, this temperature display is a huge advantage despite the size as this makes your temperature regulation far more accurate. It offers the same basic stuff like the heating and cooling controls. The only disadvantage is that it doesn’t offer a larger screen for more information. This thermostat is the best of its range, it offers you a decent sized digital screen that will display various pieces of information which makes this product extremely accurate for anyone using it. This accuracy is how you can effectively monitor and regulate your temperature at any time. 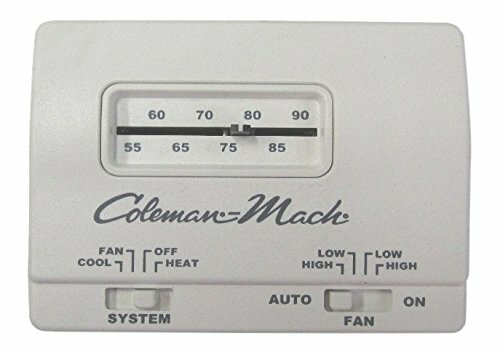 The different features of this product are pretty much standard across all thermostats including the heating and cooling modes as well as the speed and changes in fan speed. This thermostat is incredibly simple, the simplicity of these products is what allows people to learn how to use them fairly fast. The controls are just a few buttons next to a digital display that allows you to monitor whatever is happening and adjust the temperature accurately. This display is probably the biggest advantage of any digital thermostat as it offers accuracy that no analog thermostat could offer. The two heating and cooling systems are the box standard for any thermostat, an advantage nonetheless. Another benefit is that the box blends in pretty well with any background. The only downside is that the screen could be bigger for a more clear view of the temperature controls etc. 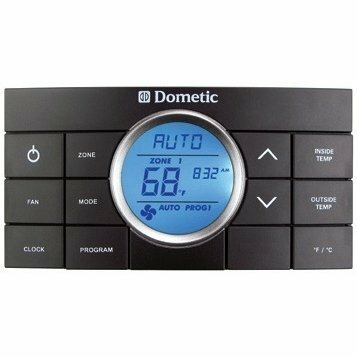 This thermostat is from the dometic range and is a great programmable thermostat that will ensure your pre-arranged settings are met as fast as possible. Once within this temperature level, your thermostat will then ensure that the temperature stabilizes at this level. The smart memory of this thermostat will make sure that during a blackout or powercut your customized settings will be remembered and start back from there. 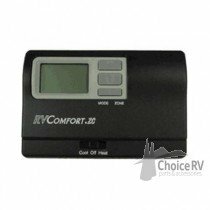 The model also recognizes and is able to recreate four different climate zones within your RV at once. This is one of the most advanced thermostats currently on the market, it offers a smart memory which will remember all of your customized settings during a powercut and restart with the same settings, that’s something an analog thermostat can’t do. You’ll find after using a digital thermostat, there’s a lot an analog can’t do. The temperature regulation is also far better as it will ensure that the temperature meets your expectations. Another huge feature is that it can create four separate climate zones at once. The only downside to using digital is that it might take a little longer to get into the swing of things and learn the various controls. This thermostat is great for regulating the temperature of your hot water. Many times there have been times when hot water can reach fairly unsafe temperatures and have even scolded people with some serious burns because of poor water temperature regulation. This water heater thermostat will allow you to regulate and monitor the temperature safely. A really basic device that it used for this one purpose, there isn’t much to mention about it. It comes from a reliable brand and will be able to heat water up to 130 degrees. You also benefit from a really simple installation as it’s such a simple device, there isn’t much to wire up. Like we said, there wasn’t much to talk about regarding this product due to the very limited information on the internet. The main benefits are that it comes from a reliable brand and has raving reviews as an effective temperature regulator. Thanks to the sheer simplicity of the device, the installation process is almost effortless. The only downside with this product is that it’s not the prettiest of device that would blend into your RV. It actually looks more like a broken light switch. This truly modern and well crafted digital thermostat is an easy to read and easy to use product that will work to your pre-arranged temperature, allowing you to sit back and relax. The large SMX blue light display will show you all the information you need to properly regulate your temperature and make your RV really comfortable. You’ll also be happy to know that the installation is also extremely fast and easy. The built-in sensors will accurately read the temperature of the room in order for them to control and manage the temperature to your standards. You can even heat or cool down up to four different areas of your RV at one time. The 12 button display makes the whole experience for more streamlined and comfortable to control as everything is right there for you to mess around with. This product offers a more modern and sleek design to that of your standard ugly analog design, a bit of flavor never hurt anyone. The large blue light display also offers you more information on one screen that lets you monitor and alter the temperature accurately at any time, the same goes for the temperature sensors that will effectively help self-regulate the temperature, the 12 button display also offers more features at only a push of a button. The only downside with this product is that if you aren’t used to digital thermostats, they take a long time to get used too, especially something as advanced as this. The dometic brand are real market leaders in this area which is why it shouldn’t come to you as a surprise that they’ve been featured on this list a few times already. This digital model is fairly convenient for most RV owners as you’ll be able to control the three different fans speeds and air distribution throughout the RV. The auto fan mode works as a self-regulating system that works to ensure your preferred temperature is acquired. The large LCD display also makes working this product a lot easier and user-friendly than most others on the market. Along with all the many features, you’ll also have a two year warranty that’s included in the deal. This product belongs to such a reliable brand that it would be hard and stupid to imagine it doesn’t work. The three fan speeds that can be adjusted help evenly spread out the cool air throughout the room. You’ll also benefit from the auto fan mode which self-regulates the air temperature. The large LCD display will ultimately help you monitor and understand the information presented to you. It also comes with a two year warranty which is always a good thing. The only downside like all digital thermostats is that it might initially be a struggle to understand or learn. This 12V thermostat has an easy to read display that provides you with the very basics of information, you’ll receive a breakdown of the temperature at that particular time which will help you accurately regulate the temperature. The temperature control is fairly easy to understand and can be done fairly accurately by using the two buttons at the side of the display. You also have the option of both heating and cool air, as well as, an auto fan feature that will self-regulate the temperature around you using smart sensors. If you ever experience a power outage, you’ll have the benefit of having the smart restart function which will remember your previous customized settings and retain those same settings for when you gain power back. For a digital thermostat, you’d expect more features. However, there were a few decent benefits such as the easy to read display and temperature controls that didn’t take much learning before you understand how to work them. 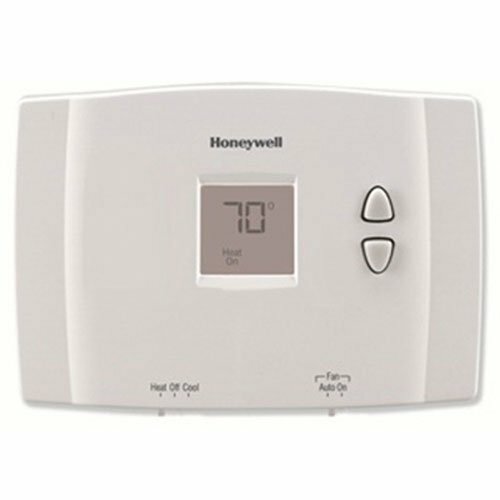 The thermostat offers the basic heating and cool air along with a self regulating auto fan mode, this works with the help from internal temperature sensors. The main attraction, is the smart restart function which will retain the previous custom setting throughout a power outage and then start from where it left off when you gain back power, this feature is a little more advanced. The main problem with this product is the boring design, there’s no flare to the product exterior. However, it does it’s job quite well. There are four main types of thermostat, all with their own benefits and downsides that you’ll experience when using them. The oldest type of thermostat is the analog which are rapidly declining in popularity because they just haven’t kept up with the times. They’re fairly cheap and do their job with average effectiveness. 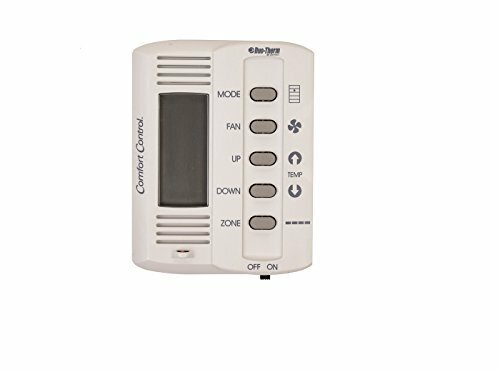 The next would be communicating thermostats which are the latest in thermostat technology which are usually accompanied by an app that you can control them with from anywhere in your RV. The most common thermostat would be the electronic type, these work the same way as their analog cousin. However, they’re far more effective. The programmable thermostat is also a decent variation that is easy to use, all you need to do is set your desired temperature and you’re all set. Installing your thermostat can be easy if you know what you’re doing, if you don’t know what you’re doing, well, you’re in luck as we’ve put together a helpful step by step guide on installing your brand new thermostat. Remove the old thermostat and ensure that all power has been turned off. Disconnect the negative cable from the main batteries, take the cover off the thermostat and remove the screws that secure it. Disconnect the set of colored wires that are connected to the thermostat using a small screwdriver. It’s important that they don’t make contact with one another at any point during the process. Tape off the blue and red wire as they’re not required. The brown wire goes to G, white to W, yellow to Y and green to Rh. The jumper must stay between Rh and Rc. Secure the plate back into the wall, pop the new thermostat back into place. Open the panel doors and ensure it’s been switched to off and have two AA batteries installed to power it. Reconnect the negative cable to your batteries and turn all the power back in. Give your new thermostat a test. Searching for a decent thermostat and actually installing it can be pretty challenging to say the least. We have that this article has been informative and the review section has helped you find your next thermostat. This section will include all of the most commonly asked questions that we get sent. We’ve tried to answer these in the best way possible and we hope that they help you. In its most basic sense, a thermostat is simply there as the control in order to regulate the temperature of a heating system. You set your preferred temperature and the thermostat will work towards that temperature and eventually keep it stable at that set temperature level. How Does an RV Thermostat Work? 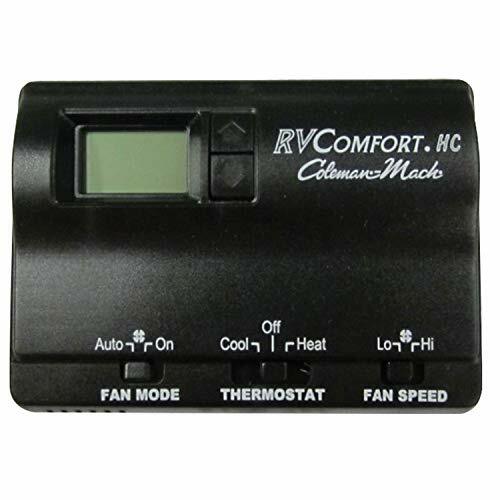 Thermostats are used to regulate the temperature of your RV or home. They do this by using sensors in the thermostat to monitor the temperature of the air around them, if the temperature isn’t at the pre-arranged level, the thermostat will then work towards changing the temperature to fit this arrangement between you and the thermostat. The way that most people know when it’s not working or just not effective is if it can regulate the temperature effectively and at a decent rate. You can also tell by the different features that it offers, is it up to date? These are all ways you can tell, a simple Google search also helps a lot.